I love listening to podcasts and audio books. It was something I picked up during graduate school when I walked 2-3 miles to campus everyday. This was a great way for me to catch up on current events and books when I wouldn’t have had the time otherwise. As I graduated school, I continued to listen to my podcasts during our backpacking trips. It’s a way we spend some of our downtime after a long day of hiking. While we were backpacking the Lost Coast trail, we found it hard to hear the audio on my phone since we were camping right on the beach. Louis came up with this brilliant idea of using our 4qt cooking pot as an amplifier. It worked brilliantly on and brought us great entertainment on the trip! To have your own speaker’s amplifier the next time you are outdoors, all you need is a cooking pot or an enclosed container and your cell phone with a working speaker. Insert the phone into the pot with the speakers facing up and enjoy your favorite podcast without having to carry the extra weight of an external speaker! Back country sound system. Suntactics sCharger -5 and Iphone 5C with a 4 qt pot amplifier. 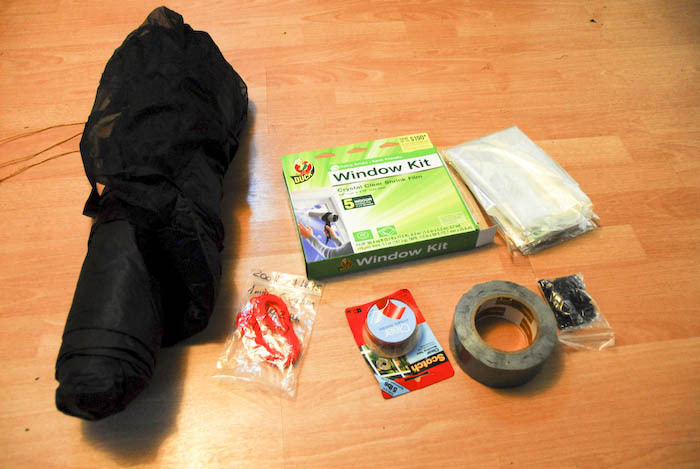 Usually when we head out to back country in the winter, we take insulated inflatable pads. Often times, the ground is so cold that the air passes through the pad. Over time we learned that inflatable pads typically don’t provide a strong barrier against the cold ground in the winter. The Sawyer Squeeze is an excellent ultralight filter. At 3 ozs, it adds very little to any pack and had endless options. 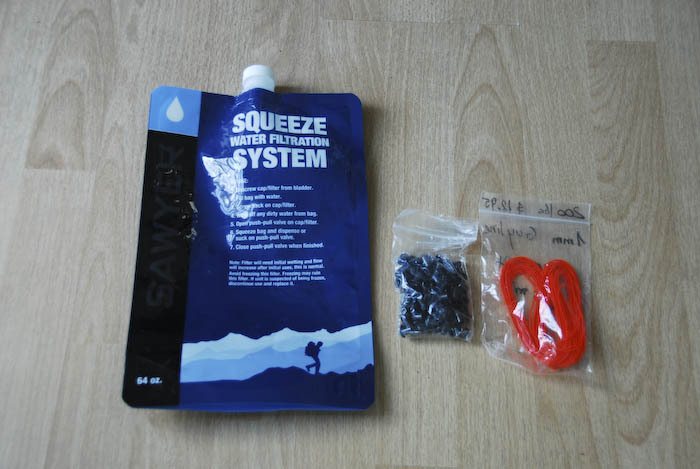 When we first switched to the Squeeze filter for our 3 season trips, we noticed the lamination separating from the bags and the bags began to fail. 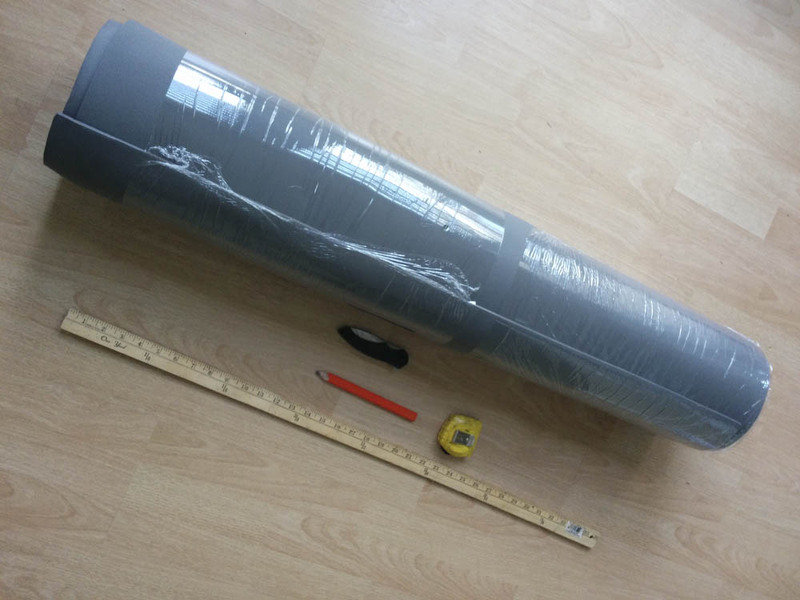 To mitigate the problem, we modified our largest bag to be used as a gravity filter. While the Squeeze is slower as a gravity filter, the weight savings and reliability more than make up for the wait time. There are much simpler ways to do this, such as using tape, but we wanted to make the modification as reliable and clean as possible.